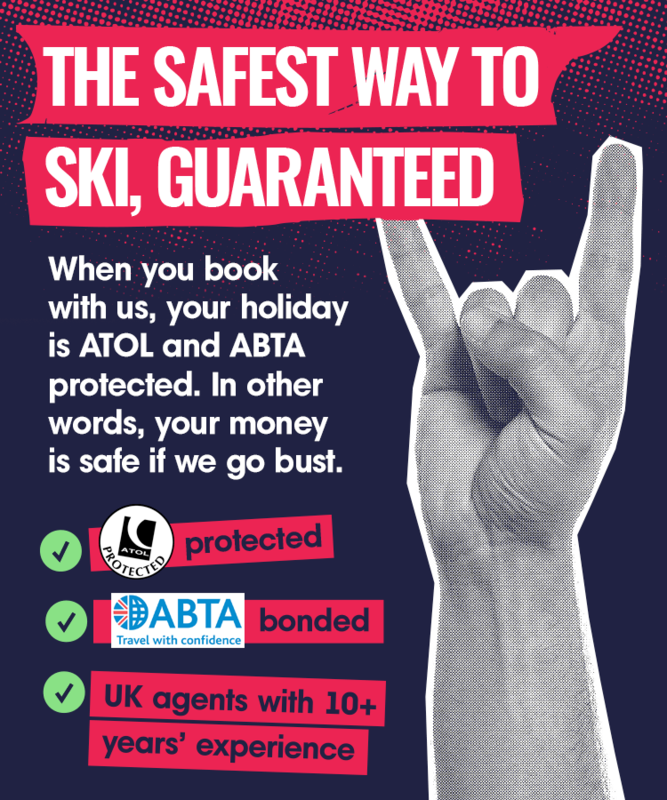 Ski Holidays to Borovets in Bulgaria 2017 & 2018. 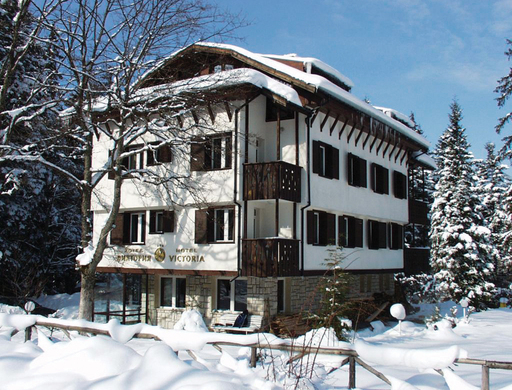 Borovets is set in a beautiful location amidst woodland and is the oldest Bulgarian ski resort dating back to 1896. 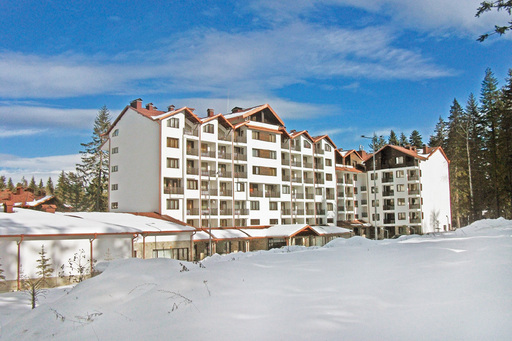 Nowadays this resort is the biggest and most popular in Bulgaria and indeed in Eastern Europe. It is situated on the Mousala ridge in the Rila Mountains in south western Bulgaria and offers skiers some perfect slopes to hone their skills, a vibrant nightlife and above all excellent value for money. The resort is a fantastic place for families or groups of skiers who are looking for an adventure and fun. The ski resorts lies at an altitude of 1350m above sea level and the area covers 58km of marked piste at a range of 1300-2550m. Borovets usually has plenty of snow from mid December until April and due to its slopes being predominantly north facing, it tends to last well. Many of the ski runs finish near the village centre, meaning that skiers can ski practically to their hotel. The runs are in three different regions, with the pistes in Qstrebets being among some of the best and where competitions are held. The ski school in Borovets is one of the best in Bulgaria and is highly recommended because of the quality of its teaching, its low prices and with some instructors being former professional skiers. The school is one of the main reasons to come to Borovets to learn to ski. The slopes are ideally suited to beginners and intermediate skiers, with their gentle run profiles through pine trees – but there are 35km of cross country skiing that can be enjoyed by all. If you’d like a break from skiing, Borovets is the perfect base. It is only 73km to the capital Sofia, which makes an excellent day for sightseeing. The city offers many things to see and do, including architecture, historical buildings, churches and museums. You can also do plenty of shopping in the lively city centre and take a break in some of the old cafï¿½s. Another worthwhile excursion is to the Rila Monastery. Founded in the 10th century, it is one of Bulgaria’s key tourist attractions and one of its most important monuments. The architecture is beautiful and some of the interior decorations are stunningly intricate. Whilst staying in Borovets you can easily take a day trip to the monastery. One of the nearest locations you can visit is the former royal palace of Tsarska Bistritsa, high in the Rila Mountains just above the resort and near the Bistritsa River. The palace incorporates European architectural styles with the traditionally Bulgarian. Eating out in Borovets is another part of your holiday that is great value for money, with prices much lower than if you were other parts of Europe. The variety does not suffer either; with pubs, takeaways, taverns and restaurants offering delightful food and the number of establishments keeps growing every season with the popularity of the resort. For British taste buds, the ‘Hungry Horse’ will offer you some fantastic meals, while those who fancy something Italian should head to ‘Franco’s Pizza’. ‘Mamacita’s’ cooks up some delicious steaks, which are good hearty food after a day’s skiing. There are also restaurants offering local cuisine and folklore. The nightlife in Borovets is one of the most exciting aspects of this ski resort and has a reputation as one of Europe’s ski circuit’s best. This great atmosphere is largely due to the cheap drinks on offer, the long happy hours and the friendly staff occasionally supplying free drinks. The national drink, akia, is very strong and should be drunk with care; the bars and clubs also serve international brands as well as local beers. Every taste is catered for due to the variety of bars, from traditional inns to dance clubs. ‘Buzz Bar’ is popular with the British, while the ‘Black Tiger’ bar also offers a vibrant atmosphere. There are nightclubs in hotels Samokov and Rila and a good night out is practically guaranteed. Borovets offers something for everyone, the skiing is great for beginners and intermediates who need some gentle slopes and the ski school is one of the best. The resort itself is in a stunning location amongst woodland and you can make the most of excursions to nearby places of interest to add more depth to your Bulgarian holiday. You can find some lovely places to eat out and for party people there are plenty of options to dance until dawn. 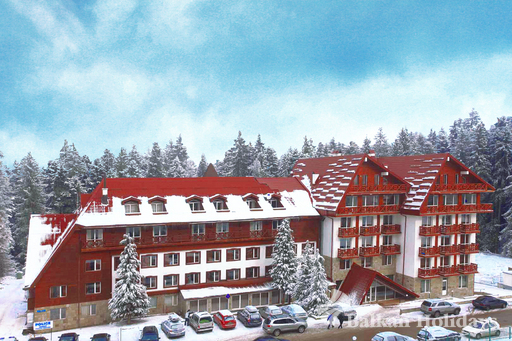 The best thing about Borovets is the value for money, so you can thoroughly enjoy yourself without going over budget.